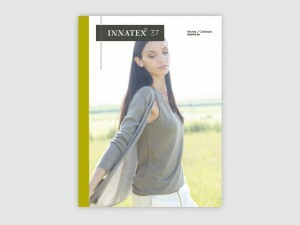 On behalf of the entire team, I would like to welcome you to INNATEX 35, the international trade fair for sustainable textiles in the beautiful Rhine-Main region of Germany. 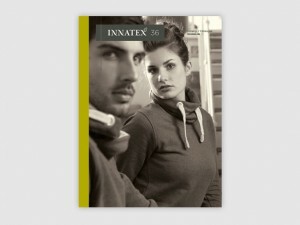 This time round, »Social standards« has been chosen as the overriding theme for INNATEX 35. Situated in the foyer, the TrendShow sheds light on a selection of companies operating impressive sustainability programmes. Their social commitment to the countries in which they manufacture stands out along various stages of the supply chain. These days, consumers are wanting to know more about the working conditions in which their textiles are produced. The new Conscious Consumer uses the »Consumer Power« of their buying decisions to encourage global corporations to rethink their strategies. A survey conducted in 2013 showed that eight in ten buyers of Fair Trade products used their buying decisions to make a stand against exploitation and to promote fair working conditions in the manufacturing countries of the world. The motivation to make smart and creative fashion whilst operating in a fair, socially responsible and ecological manner is unrelenting in the Green Fashion field. More than 240 exhibitors from over twenty countries are once again flocking to Hofheim-Wallau to present their latest »green« fashion trends for the 2015 summer season. By the way, Hall 2 has been lent a completely new look, made possible by the innovative Concept Stands. The exhibition landscape here is modern, elegant, bright and friendly. The new system gives exhibitors plenty of scope for greater individuality and creativity in presenting their collections and brands. All that remains for us to do is to wish you a successful trade fair and plenty of new and fruitful business contacts!